Pitt women’s soccer blew a two-goal lead to the Miami Hurricanes on a rainy Thursday night, losing 3-2 at home to stay winless in the ACC. 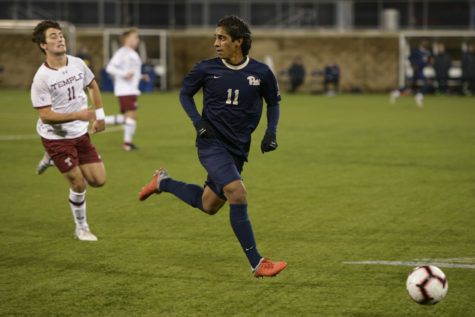 Pitt (4-7-1, 0-5-0 ACC) and Miami (5-6-2, 2-3-0 ACC) both entered the match near the bottom of the ACC standings. 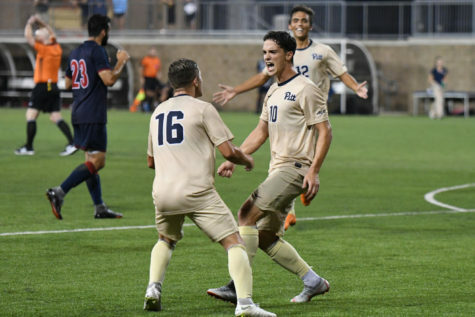 However, Miami was coming off of a 1-0 win over Syracuse, while Pitt rode a four-game losing streak, having been shutout in all those games. The game started off slow, with neither squad generating much momentum offensively. 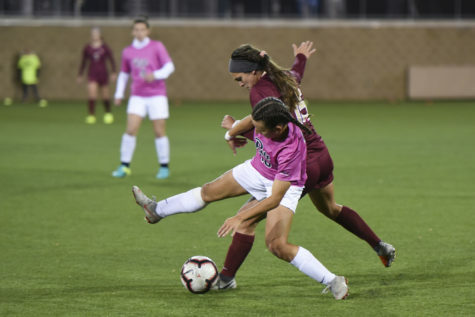 The best opportunity for the first 40 minutes of the game came on a nifty through ball in the 29th minute from redshirt junior Juliana Vazquez, but sophomore Aideen O’Donoghue couldn’t quite get there before Miami goalkeeper Phallon Tullis-Joyce. The game took a sudden turn in the 42nd minute. 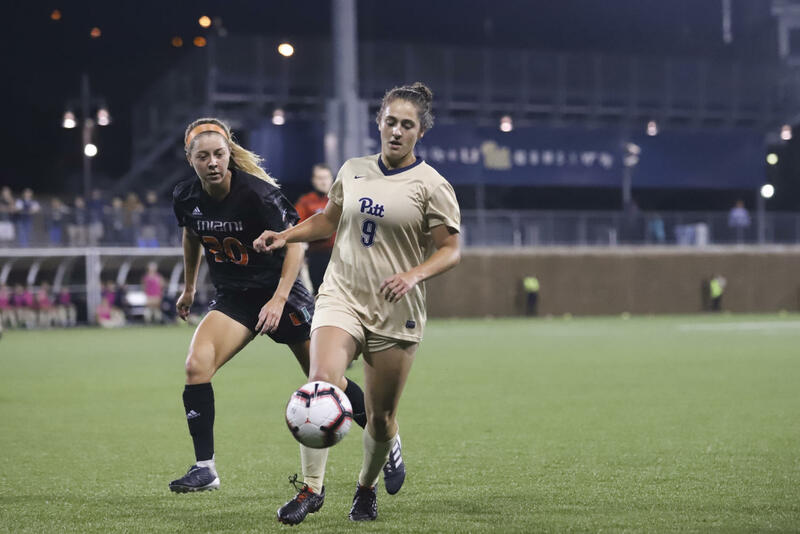 After a pass from freshman Mariona Segales, Pitt redshirt senior Ashley Moreira blasted one off an incredibly tough angle on the right side of the field into the upper left corner of the goal, putting the Panthers ahead 1-0. It was the Panthers’ first goal in their last 418 minutes of gameplay. 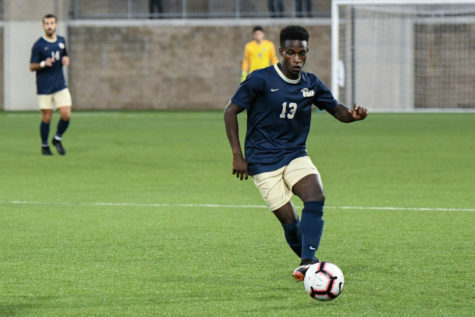 After such a long scoring draught, Pitt didn’t take long to get on the board again. 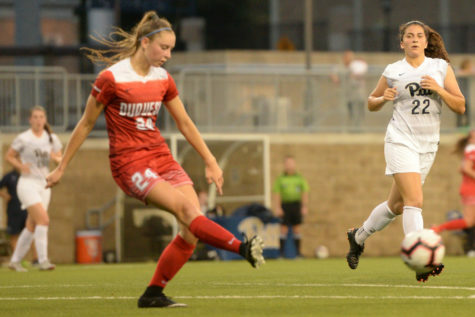 O’Donoghue put away a low ball off of a nice cross from freshman Anna Rico in the closing seconds of the first half, giving the Panthers a 2-0 lead at the break. The Panthers led the Hurricanes in shots 6-5 after one half, including three shots on goal. 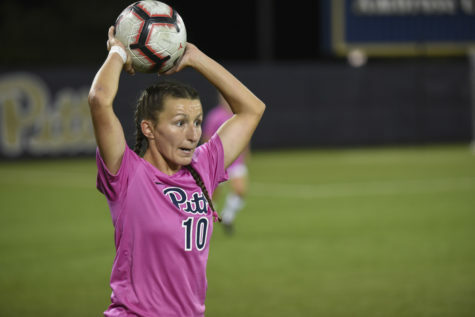 After a scoreless first half from Pitt’s freshman goalkeeper Katherine Robinson in her third consecutive start, the Panthers subbed in redshirt sophomore Amaia Pena at keeper for the rest of the game. 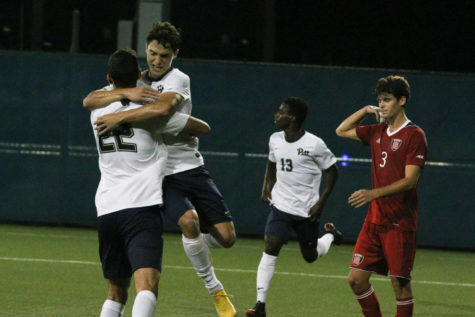 The second half continued the offensive excitement, starting with Miami chances. First-year forward Gudrun Haralz goal was not counted in the 50th minute after the ball was called out of bounds, but she scored her fifth goal of the season on a header a minute later, putting the Hurricanes on the board and cutting the lead to 2-1. 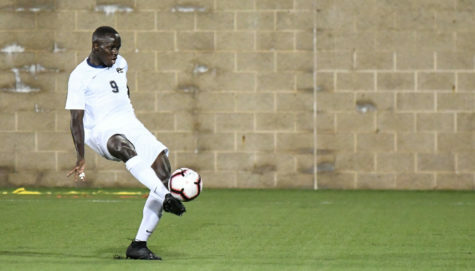 For the next 20 minutes, the Panthers had many opportunities to regain a two-goal lead, but were not able to capitalize on their chances. Senior Mikayla Schmidt intercepted a Hurricane pass in the 59th minute, but her aggressive shot was saved by the fingertips of Tullis-Joyce to keep the score at 2-1. 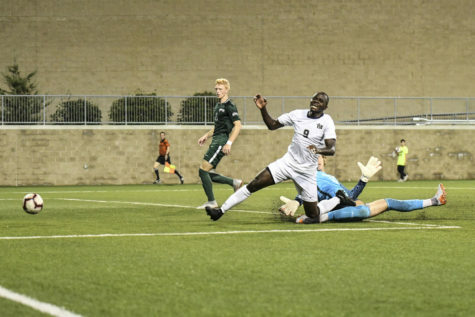 A great through ball from Miami’s Bayleigh Chaviers set up a finish to Haralz to tie the game at two apiece in the 78th minute. The score may have been tied, but Miami had taken all of the momentum from Pitt. Still with two minutes remaining, it looked like the game was headed into overtime. Haralz, however, had other plans. After a diving save from Pena, the forward put away the rebound for her third goal of the game, all in the second half, and clinched a 3-2 victory for the Hurricanes. Miami dominated the ball in the second half, taking 10 shots to the Panthers’ four. 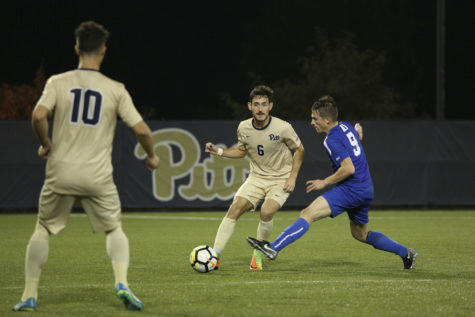 Pitt’s goalies combined for seven saves in the game, while Miami only had to make two. The Panthers return home on Sunday at 1 p.m. against Clemson.